The citrus industry is the second largest earner of foreign exchange through South African agricultural exports. The industry generates R3 billion per annum and exports 54% of total production, making it the third largest exporter of citrus in the world after Spain and the USA. The industry is made up of 1 300 export farmers and 2 200 small farmers, employing over 10 000 people, supporting roughly 600 000 dependents. 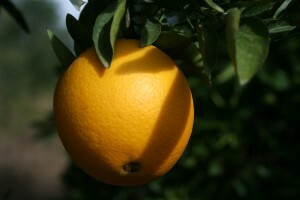 Citrus is produced in various areas in South Africa, but particularly threatens an area surrounding The Baviaanskloof Mega-reserve in the Eastern Cape. This reserve has been awarded World Heritage Site status, due to its outstanding natural beauty, spectacular landforms and diverse array of plants and animals. The Mega-reserve strives to conserve 12 vegetation types, representing seven of South Africa’s nine biomes. In recent years, significant citrus expansion in the Baviaanskloof is posing a threat to the region’s phenomenal biodiversity. Erosion from ploughing high up on sloped land, and alien invasives in river banks add to the problem. In response to this threat, the Eastern Cape Parks Board and the citrus industry in the Gamtoos River Valley is managing the Biodiversity Citrus Initiative (BCI), established in 2009. The existing GLOBALGAP auditing system used by the citrus industry for the export market has been amended according to a Biodiversity Strategy and Action Plan and the Green Choice Living Farms Reference. Signage, certificate and crate branding is used as incentives. To date there has been pre-audits of the 12 farmer members. The core production area of the South African nut industry is concentrated in the northern parts of the country. Pecan nuts and macadamias are produced predominantly in the Limpopo and Mpumalanga and groundnuts are farmed extensively in the Limpopo, Free State and North West provinces. The Cape Parrot is an endemic species to South Africa and is listed as endangered, with only an estimated 1 200 birds left in the wild and a high probability of the species going extinct in the near future. Distribution of the parrot is restricted to the fragmented Afromontane forests of the Eastern Cape, southern KwaZulu-Natal and a relic population (30 birds) in Limpopo province, overlapping with the core pecan nut-producing regions in South Africa. Key threats to the parrot include destruction of habitat, breeding sites and natural food sources, illegal poaching for trade, human-animal conflict and a beak and feather virus. 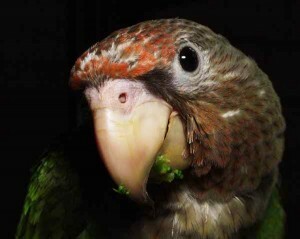 In response to this threat to the Cape Parrot, BirdLife South Africa launched the Cape Parrot-Friendly Pecan Nut initiative. In line with BirdLife South Africa’s mission, this project aims to conserve the Cape Parrot through positive interaction with people and development. The project plans to increase the food source for the Cape Parrots by developing a pecan nut farming scheme in a community situated on the periphery of the Cape Parrot’s habitat. The Project will provide training and income for members of the community. The concept is based on the ‘badger-friendly honey’ product and aims to provide an alternative, safe food source for the Cape Parrot by developing a buffer zone between the forest and pecan nut farmers and residents near urban dwellings. The project develops a unique commercial enterprise for unemployed local people, providing skills development and alternative income. BirdLife SA secured funding to plant seedlings and to train local people in horticulture, business management, marketing, environmental education and environmental monitoring. The aim is for community partners to work with retailers who can assist the community in harvesting, packaging, marketing and selling the pecan nuts.